Why Should I Invest in SEO, What ROI Can I Expect? Recently a colleague of mine who provides virtual CIO services sent me some intriguing questions about how he handles or screens SEO partners. "Why should I invest in SEO, and what ROI can I expect if I invest with Capture Commerce?" Comments Off on Why Should I Invest in SEO, What ROI Can I Expect? The canonical tag was one of the handiest developments in SEO in a long time. It’s thanks to this useful piece of information in the header of our websites that we can essentially eliminate any duplication that might be occurring without needing to go through the development teams to get 301 redirects handled (how many times does it turn out to be a 302?). Unfortunately, as with all things, there’s a lot that can go wrong with them, especially if the people putting them in aren’t quite sure what they’re doing. If you’ve been in the game for a while, you’ve probably seen some shockingly bad implementations of them. I know I have. Today, I’m going to talk through a few of them. Are You a Victim of SEO Trends? Hey, did you hear about this SEO trick? These are some examples of “SEO tricks” people used in the past with varying degrees of success, but today use them and you may be another victim of SEO trends. Does SEO Support Marketing or Does Marketing Support SEO? This kind of thinking might have worked out fine a few years ago but today the search engines treat sites that don’t engage as not so useful – and that impacts search rank. “But it’s just a program, how could it know what’s engaging or not?” Oh my friend, the algorithm is a program, but don’t be naïve, that’s not all search engines have at their disposal to evaluate and rank sites today. Social SEO is a hot topic right now. It refers to the social factors that can influence search engine results. 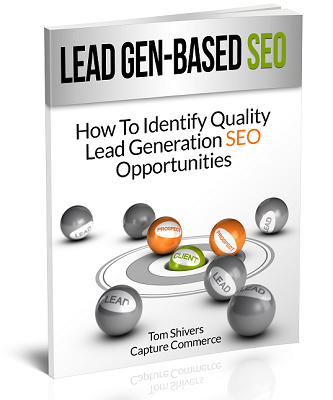 If you are overly focused with your on-page efforts you may be missing this component. One solution is to put yourself in the position of your audience. In your experience what information has prompted you to comment or share with your network? It is likely including these factors in your writing will propel your content through the social pipes. Matt says they are going to keep iterating on the Panda update to try to keep sites that don’t produce quality content from ranking as high as sites that do produce content that users love. An interview with Stacy Williams of Prominent Placement. At a recent Atlanta SEMPO/AiMA event on social search, speakers from Google, Bing and Newell-Rubbermaid discussed their efforts in social media and incorporating social networks in with search. So you have a new business and, to keep expenses down and ROI up, you use the Internet to find new customers or clients. Search engine optimization (SEO) is the best investment, but it normally takes 3 to 6 months to see top rankings. Since you must have customers to stay afloat, you want immediate and qualified prospects to come to your site. So what you need right now is paid search (pay-per-click advertising). And implementing both SEO and paid search simultaneously can give your business an irresistible one-two advantage. When paid search is the main source of new customers, you have to maximize the ROI from your immediate – yet pricey – web visitors. How? By clearly communicating with the most desired prospect whose problem you can solve, and who is willing, able and ready to engage now.